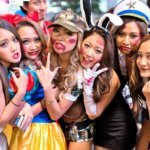 It is often said that the Japanese have a unique sense of aesthetics that is very different from Western standards of beauty. This sensibility is termed as wabi-sabi although it goes much deeper than just appreciation of art and beauty. 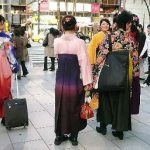 It is a lifestyle and philosophy that is ingrained in the Japanese identity. 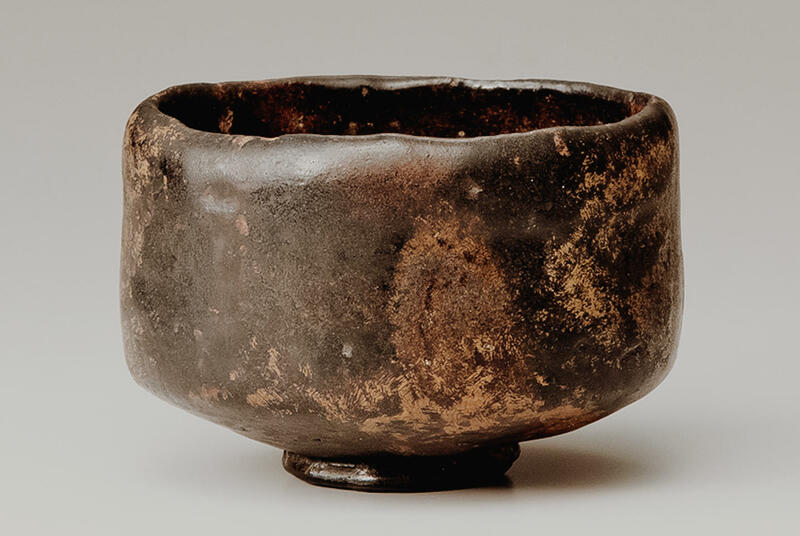 Developing in the 15th century as a response to the dominant aesthetic of extravagance, heavy embellishment, and rich materials, wabi-sabi is the art of finding exquisiteness in imperfection and appreciation of authenticity and austerity. 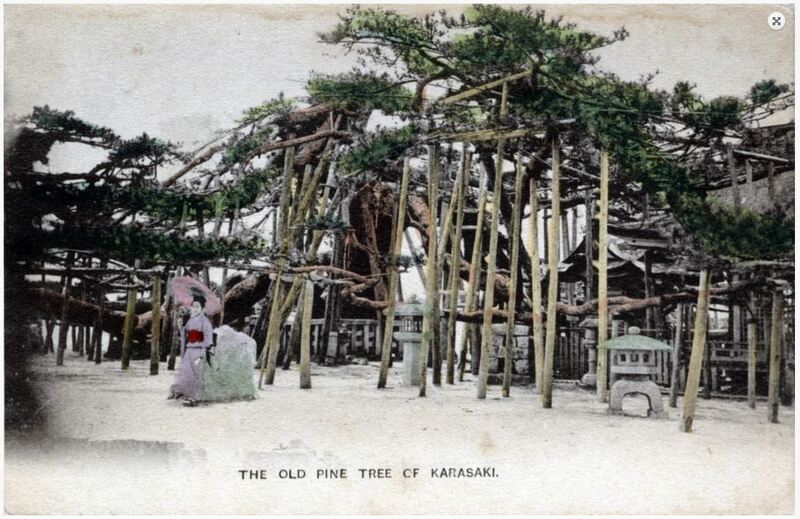 In Japan, the notion is so deep-rooted that it’s almost impossible to explain it to outsiders. Wabi-sabi is such a complex concept and it has no direct English translation. In this article we will attempt to pin down this elusive idea. Wabi refers to simplicity and a sense of stillness. It embraces the rustic quality with all its flaws and imperfections. It celebrates randomness that gives a feeling of distinctiveness and uniqueness. Sabi means an idyllic beauty that comes from age. It denotes the natural process of aging that gives an object value and dignity. It is the unpretentious and ambiguous process that renders it beautiful and speaks of the Japanese appreciation of the cycle of life. Many artists and writers have attempted to define and capture this elusive philosophy. The etymology of the term is also particularly interesting: wabi comes from wabishii (lonely, wretched), while sabi stems from both sabiru (to age and mature) and sabishii (lonely, inconsolable). The two words together suggests a melancholic beauty that has resulted from aging, imbuing a quality of exquisite maturity and delicate taste. Wabi-sabi denotes a comprehensive Japanese philosophy focused on the acceptance of transience and decay. Wabi-sabi is said to have developed from the teachings of Taoists from China which in turn influenced Zen Buddhism in Japan. The Taoists endeavored to live close to nature and believed in the natural forces that influenced their lives. Zen came to Japan in the 7th century, the time of Prince Shotoku (聖德太子) when Dosho (道昭) brought the teaching back from Chinese scholars. Wabi-sabi is entrenched in how the Zen Buddhists see the universe. In their existentialist view, nothing is perfect, everything is transient and ever changing. All things come from nothing and will return to nothing. Wabi-sabi challenges the mind to perceive objects with muga (without intellect or ego) and simply contemplate on their true nature without pretense. The Zen monks developed spiritual awareness rooted in the “Three Marks of Existence,” or sanbōin (三法印さんぼういん). It describes the concepts of impermanence mujō (無常:むじょう), suffering ku (苦:く), and emptiness, or absence of self kū (空:くう). Buddhist teachings emphasize that making peace with these universal truths is the path to transcendence. 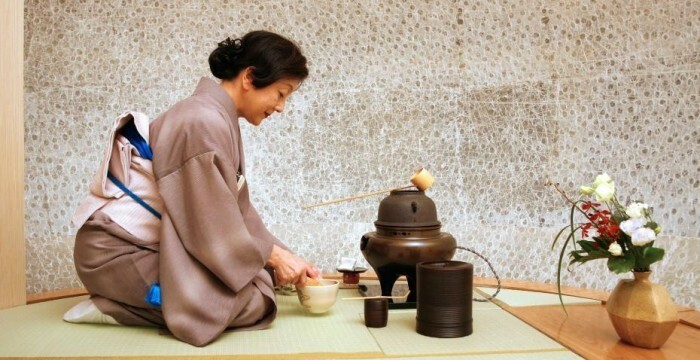 The tea ceremony is the best place to look when searching for the birth of wabi-sabi. 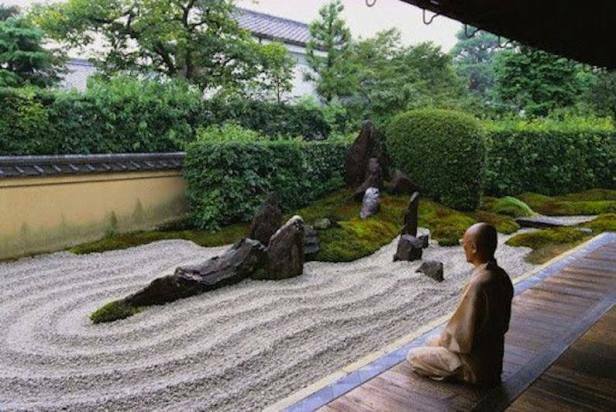 A Zen monk named Murata Shukō (or Jukō), who lived from 1423-1502, infused this philosophy and aesthetic into the traditional tea ceremony. 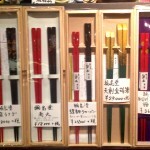 In Shukō’s time, tea was mostly consumed by the ruling class using Chinese utensils (called karamono 唐物からもの) while looking at the full moon. 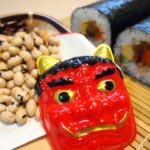 Shukō deliberately used simple, Japanese-made goods like Shigaraki and Bizen pottery when taking his tea and he encouraged students to appreciate the half moon, or one that is covered by clouds. The tea ceremony used ceramic tea bowls fired through a method known as raku. Raku roughly means “enjoyment of freedom” and is a firing process by which the clay pot is rapidly heated then removed from the kiln by the potter using metal tongs. It is then placed into a chamber filled with sawdust, or similar combustible material or directly plunged into a vat of cold water. The resulting shock to the ceramic creates characteristic cracks in the glazed surface causing unpredictably beautiful surface effects that can appear subdued and rustic. Black ink is then rubbed into these surfaces to augment the visual impact. This combination of earth, wind, fire, and water is a perfect demonstration of wabi-sabi. No two raku pieces are ever the same and thus is a tangible reminder of the Tao. And, because of their low-fired nature, the surfaces dim and fade in time, which again further exemplifies the concept of wabi-sabi. Zen gardens speak universal truths, as they are open to all who embrace the indefinably infinite. This invitation by Zen gardens to see clearly and unchain ourselves from convention implores us to forget scale and perception, to lose ourselves in the flow of the Tao. Its minimalist approach, using barren rock, a bit of green moss and white sand is a sabi approach representing austerity in our mundane world. The wabi way leads us to transcend this materialistic world towards the world of spirituality. The barrenness of the garden represents the removal of the defilement of worldly things. It is an antidote to elaborations that are said to “pollute” the mind and spirit. Haiku also lends itself to similar ideals as wabi-sabi, showing through poems how the feeling of the philosophy can transcend beyond mere visuals or craft. One possible interpretation is that while cherry blossoms are delicate and fleeting, they are also flashy and assertive, a representation of social posturing. On the other hand, the pine, with ordinary evergreen foliage, alludes to a more subtle form of beauty. The poem itself seems incomplete and its ambiguity open to interpretation which is in essence what wabi-sabi is all about. A technique called kintsugi (金継:きんつぎ) is a traditional preservative method wherein cracks in antiques are filled with gold to draw attention to the history of the object as something to be celebrated rather than hidden. It shows that a broken piece can still be restored. Cracks don’t devalued the item but instead adds to its character. It becomes even more magnificent because of its fractures. 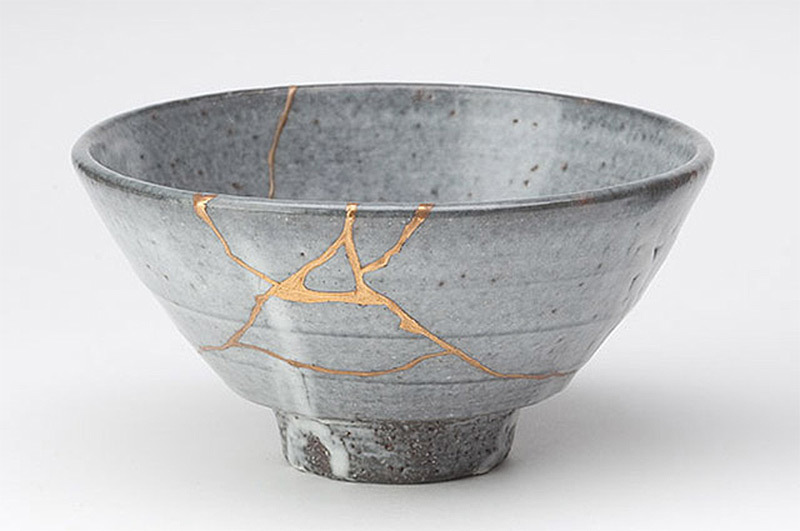 It is a fitting representation of wabi-sabi that sees beauty in imperfection.